A recent newspaper article proclaimed that hair dyes are a cancer risk. The ‘study’, which was reported on in the UK’s Daily Mail,was funded by a company about to launch its own brand of ‘safer’ hair dyes and was not all that impressive – but the link between hair dye use and cancer is one that has been studied for years and should not be ignored. In a culture obsessed with youth and beauty, grey hairs are the enemy and today’s hair dyes are marketed as being as good for your self-esteem as they are for your hair. But underneath the advertising hype is a disturbing amount of data linking regular hair dye use with a range of different cancers. To achieve luscious shades of chestnut brown, coppery red, mahogany or black, permanent hair dyes must first chemically damage your hair. Under a microscope, the cuticle of human hair looks like overlapping fish scales. The pigment molecules that give hair its colour are stored in the cortex of the hair, beneath this scaly layer. Before the colour can penetrate the hair shaft, the cuticle, must be ‘opened’ so that chemicals can get in to the natural pigment molecules. Permanent hair dyes consist of a two components – colour and developer. The colour component usually contains a range of synthetic dyes and intermediates that such as ammonia, diaminobenzenes, phenylenediamines, resorcinol and phenols. Mixed with the developer – usually hydrogen peroxide – the colour component begins to oxidise to produce a particular colour. The ammonia in the mix causes the hair shaft to swell, forcing the cuticles apart and allowing the mix to deposit the new colour underneath. Ammonia free formulas may smell nicer, but they simply replace ammonia with another chemical that does the same job. The process of oxidation takes time, which is why the formula usually looks one colour when you first apply it and another when your rinse it off. Other hair dye ingredients have also proven carcinogenic in at least one animal species including: 4-chloro-m-phenylenediamine, 2,4-toluenediamine, 2-nitro-p-phenylenediamine and 4-amino-2-nitrophenol. Regulation varies, but some of these have now been banned in hair colourants in some countries. Coal tar dyes have been also found to cause cancer in laboratory animals, yet no warning is required for these either. No such warning is required for this ingredient in the EU. In the US the long commercial use of many hair dye chemicals, especially coal tars, has allowed manufacturers to successfully argue that they cannot be withdrawn from the marketplace. In the EU in 2007 over 100 hair dye substances suspected of toxicity were banned pending documentation supporting their safety for use. By 2009 44 of these had been put back on the market. In 2010 a further 179 hair colouring chemicals were banned within the EU. But many of banned colours were less commonly used substances and plenty of toxins remain in our hair dyes and of course long-term users will have been exposed to those colourants that were eventually deemed dangerous and taken off the market. 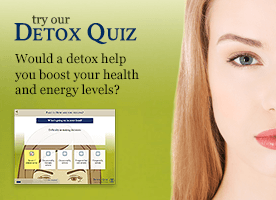 Other hair dye ingredients such as chlorides are highly irritating to the mucus membranes. Chloride fumes can irritate the lungs and eyes and cause burns or rashes on the skin. Hair colours also contain several penetration enhancers known the aid the absorption of other toxic chemicals into the bloodstream. These include can include propylene glycol, polyethylene glycol, fatty acids such as oleic, palmitic and lauric acid and isopropyl alcohol to name but a few. Both human and animal studies show that the body rapidly absorbs the carcinogens and other chemicals in permanent and semi-permanent dyes through the skin during the more then 30 minutes that dyes remain on the scalp. So if you use permanent, semi-permanent, shampoo-in or temporary hair colours you are increasing your risk of developing cancer. Problems with hair dyes were first noted in the late 1970s when several studies found links between the use of hair dyes and breast cancer. In 1976 one study reported that 87 of 100 breast cancer patients had been long-term hair dye users. In 1979, another study found a significant relationship between the frequency and duration of hair dye use and breast cancer. Women who started dying their hair at age 20 had twice the risk of 40-year-olds. Those at greatest risk were the 50 to 79 year olds who had been dying their hair for years, suggesting that the cancer takes years to develop. A year later another study found that women who dye their hair to change its colour, rather than masking greyness, were at a threefold risk of developing breast cancer. The same study found that women with a history of benign breast disease had a much greater risk of developing breast cancer if they died their hair. In addition, people who work as hairdressers are at increased risk. One 2001 study found that those who had worked for 10 or more years as hairdressers or barbers had a fivefold risk of bladder cancer compared to the general population. Research continued and in the early 1990s Japanese and Scandinavian studies also linked hair dye use with leukaemia and ovarian cancer. An early Harvard study suggested that compared to women who had never dyed their hair, women who dyed their hair one to four times a year had a 70% increased risk for ovarian cancer. Women who used hair dye five times or more per year had twice the risk of developing ovarian cancer compared to women who never used hair dye. A recent review found what it called “alarming data” pointing toward a link between hair-dye use in pregnancy and the development of several childhood malignancies in offspring. The authors recommended that “Concerned pregnant women should avoid all hair colouring”. But it is the link with otherwise uncommon cancers that causes the greatest concern, and may well be the best evidence of hair dye toxicity. Evidence suggests, for example, that if you use hair dye you may be increasing your risk of non-Hodgkin’s lymphoma and multiple myeloma anywhere from two to four times over a non-user. Some researchers even believe that hair dyes may account for as many as 20% of all cases of NHL in women. Other data from the 1992 National Cancer Institute (NCI) found that women who used permanent hair dyes had a 50% higher risk for developing non-Hodgkin’s lymphoma and an 80% higher risk of multiple myeloma than non-users. In this study other cancer risk factors, such as family history of cancer, cigarette smoking, and herbicide or pesticide exposure, did not change the risks calculated for hair dye use and the risk increased with the number of years of use and for women using black, brown and red colouring products. In 2008 Yale researchers found that women who used hair dye 6-9 times a year were at 60% greater risk of developing lymphocytic leukaemia. As a general rule, the darker the shade of the dye, this higher the risk of breast cancer; thus women who use black, dark brown or red dyes are at the greatest risk. While women were once the main users of hair dyes, use among men has increased dramatically in the last few decades, and with it the incidence of rare cancers. According to the National Cancer Institute hair dye use is responsible for a 90% increased risk of multiple myeloma among men. This result echoed that of an earlier NCI study which showed that men who had used hair dyes had a two-fold risk for non-Hodgkin’s lymphoma and almost double the risk of leukaemia. Hair dye manufacturers continue to defend the safety of their products, suggesting that any risk is ‘minimal’. It is true that some studies dispute the cancer risk. One which involved 1500 men and women hair dye users in San Francisco found no increased incidence of NHL. In fairness, there are problems with studies into hair dye and cancer risk. Some involve small numbers of women working in the cosmetic industry. Historically this group of women are exposed to the known carcinogens in hair dyes – diaminotoulene, diaminoanisole, and phenylenediamines, coal tar dyes, the dioxane found in detergents, solvents, nitrosamines and formaldehyde-releasing preservatives – in much greater concentration than the rest of us. Another difficulty is that there are large variations in the chemical content of hair dyes. This means that when an association is found it difficult to know which ingredient or mix of ingredients is the culprit. In addition, cancer is a slow-developing disease in humans. By the time it surfaces, it is difficult to prove beyond a shadow of a doubt that one particular exposure was the cause. However, the weight of the evidence, clearly suggests a need for caution. Read the label. If you dye your hair use the safer alternatives that are currently on the market. These should not contain phenylenediamines (though many so-called natural hair colours do). Never buy products that are in any way unclear about their ingredients. Read the label again. This time look for dyes. Avoid products which use colours like Acid Orange 87, Solvent Brown 44, Acid Blue 168 and Acid Violet 73 these are also carcinogenic. Don’t dye your hair too often. Leave the maximum amount of time in between applications. 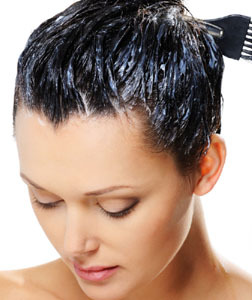 Leave hair dyes on the head for the minimum required time. Highlights and lowlights, professionally done, can give hair depth without a massive change in colour and may be a better way to deal with emerging greys (at least for a while!). Hair colourants made entirely from plant-based ingredients are the safest choice however these are few and far between. Pure herbal hair dyes will not dramatically change the colour of your hair, they are not permanent and don’t cover grey well. They will need to be left in the hair significantly longer then synthetic dyes, but have the advantage of conditioning the hair while they colour. Go natural. In a world of look-alike bleach blondes and unnaturally red redheads you’ll probably be the standout. For more on toxic chemicals see our Environment section.